FroStoppa: Ms-gg's natural hair journey and natural hair blog: The Roots Keep Doing It Again! 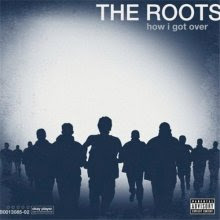 If you didn't know already, The Roots just released their lasted album, "How I Got Over" and it is definitely well worth the $10 that it cost. In my opinion, this is one of the best cd's of the year next to Reflection Eternal's "Revolutions Per Minute." People keep saying hip hop is dead. No, hip hop isn't dead, you just have to look a little deeper for the good stuff. And I am going to leave you with a small taste from the album, one of the best songs on the album, "Doing It Again," featuring John Legend.